Our company offers a wide-range of Biochemical Incubators. Widely in demand for their advanced design and precise temperature control, these are microprocessor controlled with detachable control units. We are a manufacturer, supplier & dealer of Bacteriological Incubators. We have put forth for our clients a comprehensive range of Bacteriological Incubators. These products are the microbiological incubator of cell and tissue cultures. The offered range of incubators is providing the best-suited condition for the microbiological purposes, because of the advanced design and precise temperature control. Also, this range is useful for laboratory usage. 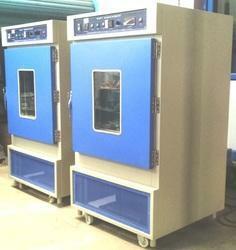 We are a manufacturer, supplier & dealer ofBacteriological Incubators. We have put forth for our clients a comprehensive range of Bacteriological Incubators. These products are the microbiological incubator of cell and tissue cultures. 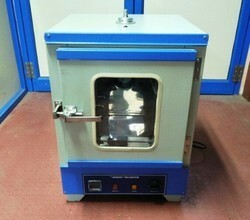 • “MIGHTY INSTRUMENTS” Bacteriological incubator reliable day to day operation in variety of uses. 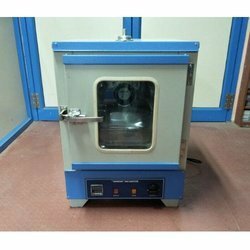 Drying and staining of slides, paraffin embedding, Tissue culture work, incubation of antibody test, excellent for microbiological determinations etc.